Lillianna Byington will be The Hatchet's editor in chief for Volume 114. 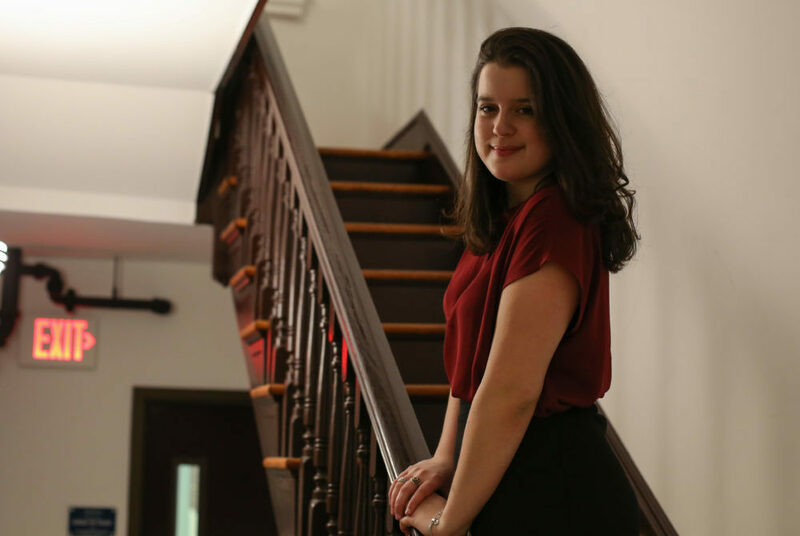 The Hatchet’s staff elected junior Lillianna Byington as the next editor in chief Saturday. Byington, a journalism major and criminal justice minor, will head the paper’s 114th volume, which begins in May. The Norwalk, Conn. native has covered Title IX, mental health, research and student life since she joined the paper as a freshman. As a member of the news section, she broke a story that the School of Medicine and Health Sciences’ body donor program was shut down after remains were misidentified – leading donors’ family members to sue GW. She has also covered GW’s campus sexual violence survey and sexual assault prevention and response committee. When she is not working at The Hatchet, Byington enjoys ice skating, talking and drinking coffee. She is also a member of Alpha Epsilon Phi sorority and an Engage D.C. leader for the Nashman Center for Civic Engagement and Public Service.